See our coordinating Take Flight Papers here. 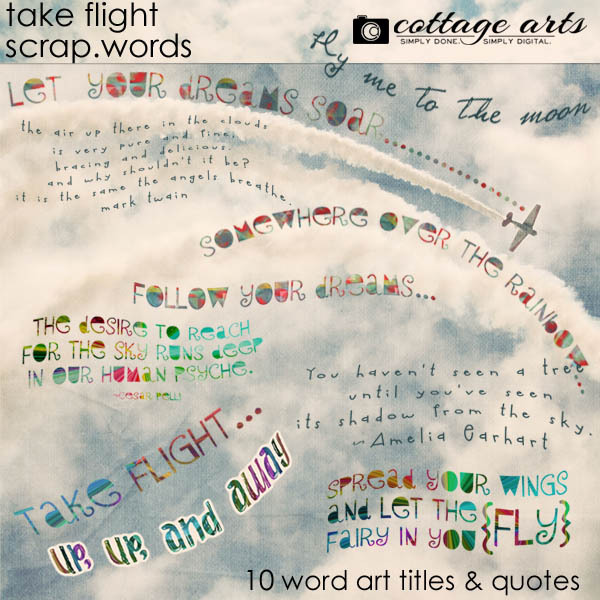 Say it with words with our Scrap.Words series! 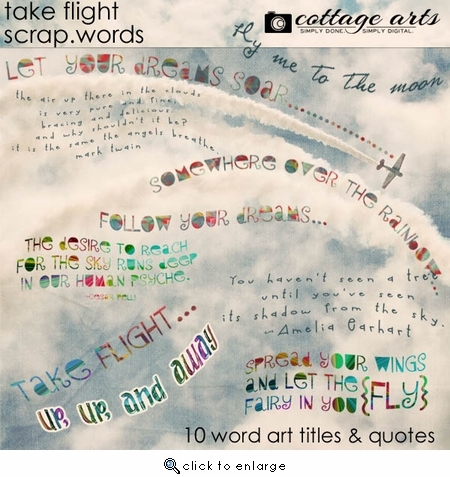 This inspirational set comes with 10 flight and dreamy quotes and titles in wavy colorful styles. Five of these come in more than one variation.